Paying taxes is in general no one’s favorite activity and collecting this sort of information can be quite stressful and time consuming. Luckily we are here to get you started with some useful information. There are two types of taxpayers; limited and unlimited. Which group do you belong to? In general there are numerous factors which determine your status but hopefully the following examples will help you make a basic distinction. Ordinarily, a short-term worker in Austria (e.g. 4 month contract) is considered a limited taxpayer, which is beneficial given that only income earned in Austria is subject to taxation. On the other hand, a worker whose primary residence is in Austria and who has a long term employment contract would be considered an unlimited taxpayer. This type of worker has an obligation to report his/her status to a responsible tax office within 30 days (failing to do so may result in a EUR 5,000 fine). Disadvantage: All income (foreign as well as Austrian) is subject to taxation. In order to avoid double taxation, it is important to keep a close record of foreign income. Advantage: Income of up to EUR 11,000 per annum is tax free. *Filing for tax return is recommended. 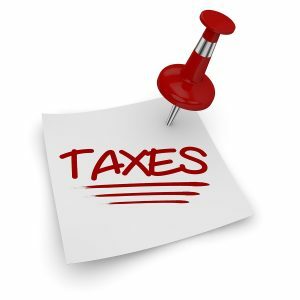 We as individuals don’t have to worry too much about income taxes as employers generally withhold a certain amount of our gross monthly income and submit it to the tax authorities on our behalf. Income in Austria is taxed with progressive rates, meaning that the more you earn, the more you have to pay. In the chart below you can see the tax rates for different income groups. You don’t have time to do research, trying to figure out all the elements which impact your monthly earnings? No problem! There are quite a few online tax calculators which make your life considerably easier. By giving basic information such as gross income, working hours, family status etc. the tool will determine your net income. Perhaps the best example is the tool made by The Austrian Chamber of Labour. If your income originates from employment and no tax has been deducted from your gross amount, you are obligated to independently file a tax declaration (Einkommensteuererklärung). It is important to mention that if you have any other income, in addition to your already taxed wage (such as from short-term contracts as independent contractors or from rentals), and it exceeds €730 you are also required to submit an income tax declaration.